Welcome back. It's day 5 of 18 in 2018. Today we're talking about "Break Cues." 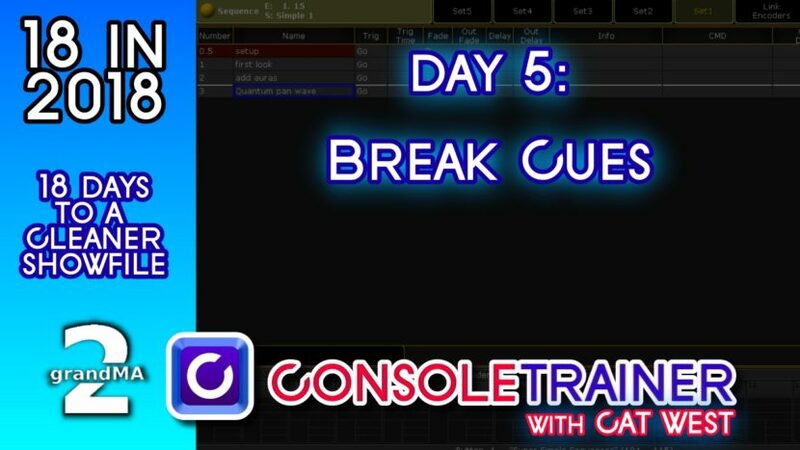 A break cue is a short cut to creating a block cue. If you tell a cue to be in "Break" mode, it means no values from a previous cue can track into it. It works a lot like if you were to block all of the values in your cue, but it's faster, easier and saves show file size.